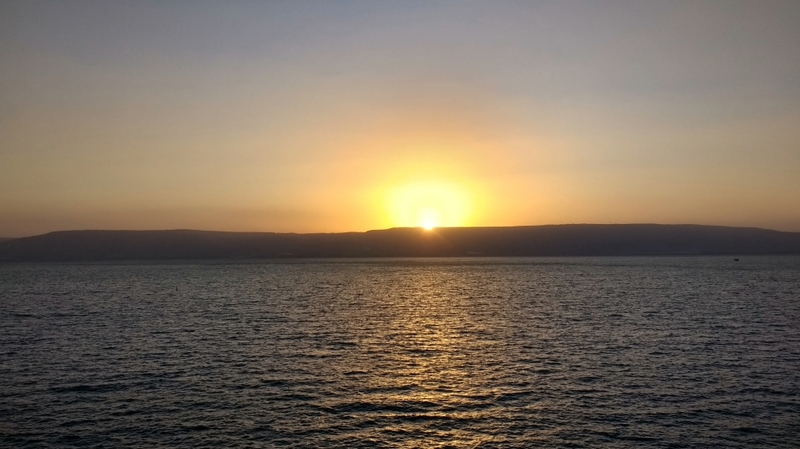 I never tire of seeing sunrise on the Sea of Galilee. Sunrise, Sea of Galilee. Photo by Leon Mauldin. From the Sea we had a view of Mt. 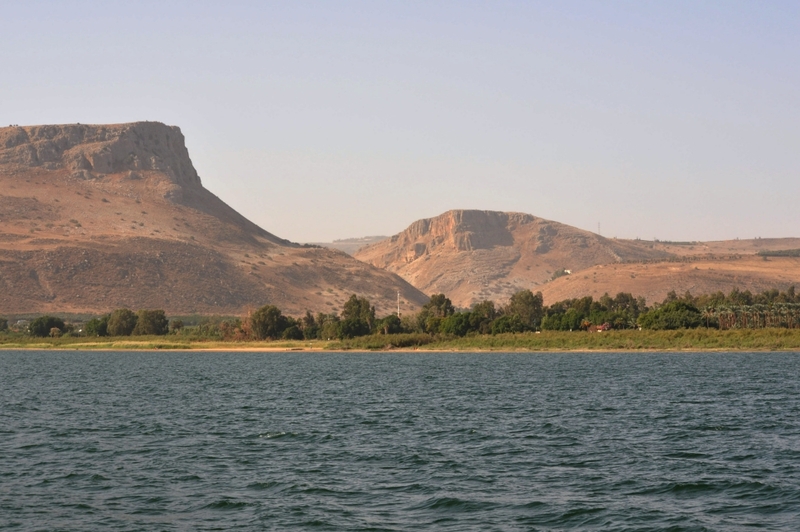 Arbel, where the international highway, the Via Maris, passed. Via Maris at Mt. Arbel. Photo by Leon Mauldin. 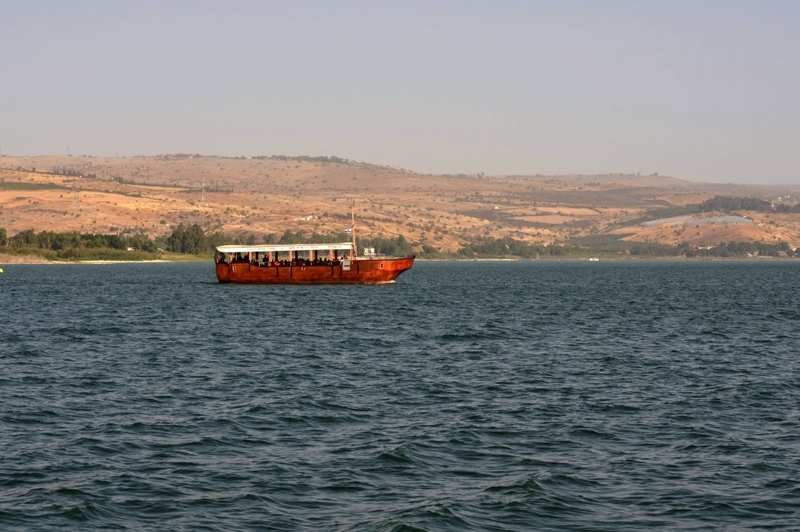 Boats such as these take passengers across the Sea of Galilee. Here is a view of some of the excavations there. 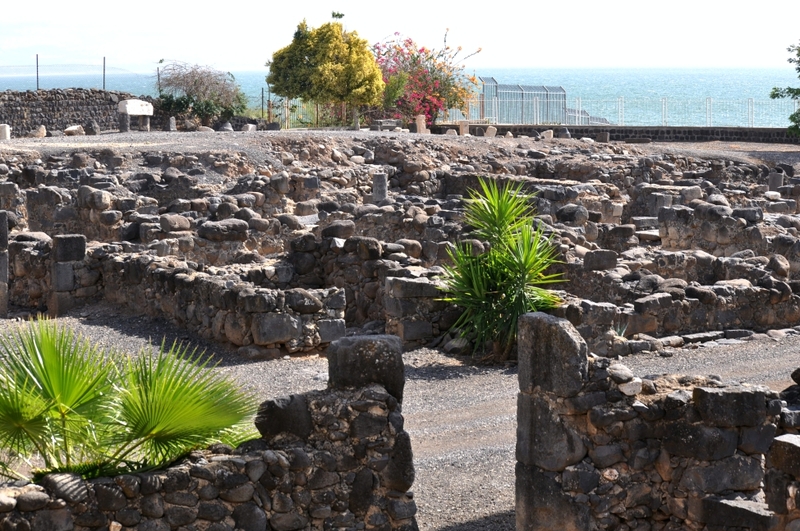 Excavations at Capernaum, Jesus hometown. Photo by Leon Mauldin. Moving north, we saw the Senir, one of the sources of the Jordan River. 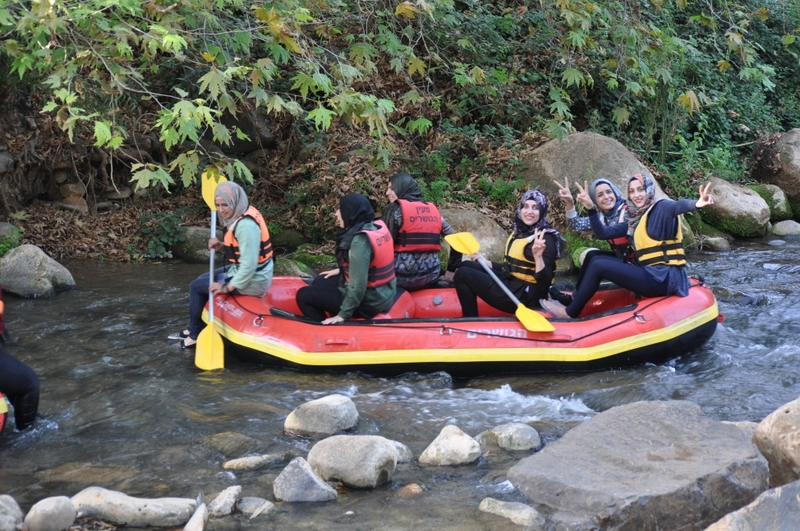 Some girls were rafting. Tomorrow we are to begin our journey south to Jerusalem. Thanks for following our travels. Rafting in the Senir River. Photo by Leon Mauldin.